Gary Bizzo, seasoned entrepreneur and CEO, shares how to make a Non-Disclosure Agreement (NDA) work for you and your idea. A prospective client asked me to sign a Non-Disclosure Agreement (NDA) the other day before we began working together. After agreeing to sign his document, I was promptly shown a boilerplate template of an NDA that the guy had downloaded from the internet. I had to laugh inside because I always tell my clients to secure an NDA whenever they are showing company information, a business plan and especially financials to anyone, yet I think NDAs are documents produced for honest people to be reminded to be honest. I’m wondering if anyone else feels NDAs provide a sense of security? According to Wikipedia, an “NDA creates a confidential relationship between the parties to protect any type of confidential and proprietary information or trade secrets. As such, an NDA protects nonpublic business information.” Typically, people with a great idea (in their mind) will try to secure money or perhaps a strategic partnership from someone who is better financed, better placed in the market or have a compelling reason with whom to partner. Your idea may sound credible, but in reality the idea really is worthless, while execution is priceless. I need to reiterate this; an idea is useless without someone with resources to implement it. NDAs are specifically designed to provide some information to another party who is interested in potential investment, who is considering a merger and acquisition, or perhaps a strategic alliance with your company. Too many business owners come to me with a half-baked idea while thinking the world economy will change when people find out about their idea. The truth of the matter is, you should be able to give investors and others the concept without giving them the secret IP, assuming that your idea is proprietary and patentable. Investors are shrewd people, and many I work with won’t sign an NDA for any reason. One told me that by signing an NDA with one entrepreneur, it could force him to abandon or severely limit him from accepting a really good idea down the road from another source. A couple of investors have actually told me they were already involved in ventures similar to the one presented to them and were surprised the entrepreneur had not done their due diligence. I actually use NDAs to gauge the level of interest in a deal. If I send some docs to an investor to peruse with an NDA and he sends it back signed, I know there is a speck of interest in my project, so I will follow up with more information. NDAs rely on two parties being honest from the very beginning; unfortunately, many ideas have been lost because their idea was simply that, an idea. NDA’s are really just a piece of paper unless you can enforce it in the event of your confidante voiding or breaking the confidentiality agreement. In other words, the side with the most money to litigate in court wins in this scenario. It’s the same with a patent unless you have the money to protect it, you lose. The crazy thing about NDAs is that the honest recipient never thinks when sharing the pitch deck and the business plan offered them by the entrepreneur. I’ve seen this many times, and I’m surprised when the investor shows documents to friends and colleagues in a thoughtless but benign manner. This needs to be addressed in the NDA. One of the ways I protect documents after signing an NDA is to share them from Dropbox. It sounds simplistic and next to useless, but many will read them but may not download them immediately. If I see the deal going nowhere, I usually withdraw the permission on Dropbox. Do your due diligence, check out the other party to the NDA carefully and fully. 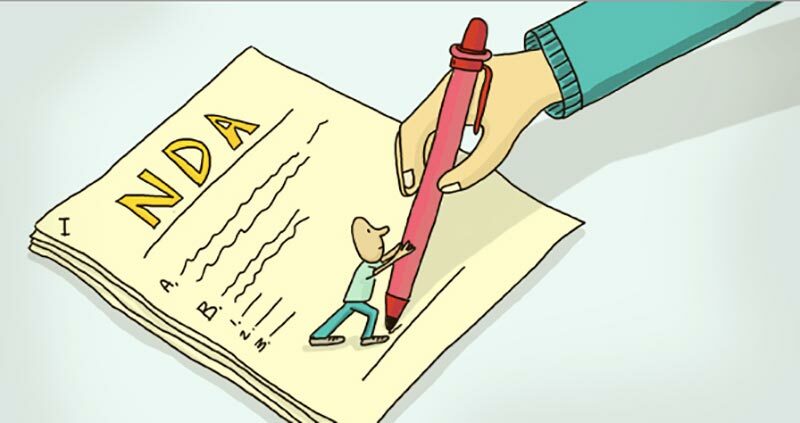 An NDA is an opportunity to share something to ‘get the ball rolling’. NDAs require a monumental degree of trust that increases with the growing value of the partnership. Don’t provide full disclosure – share what you are comfortable with and don’t give way your key proprietary information at the outset. You need to know what to share and when to share it. It is a piece of paper so you must have the resources to defend it. It does provide ‘emergency relief’ and may hold an ‘honest’ partner at bay. The more you have into the idea the more valuable and easier to defend any action. Consider putting a term on the NDA – it shouldn’t be in effect forever. At the end of the day, many of my deals have been sealed with a handshake. Sure, a couple have gone sour, but if you know whom you are dealing with when you go into a deal, the chance of being out-maneuvered down the road is lessened. Often, those generic NDAs have language that may be too ambiguous for your purposes, but from a layman’s view, they may seem innocuous. I’ve seen clauses in generic NDAs that either did not protect the entrepreneur, or were totally irrelevant to the subject at hand. This only shows the recipient your lack of experience. The worst scenario is sometimes the generic NDA subtly spells out the distribution of the NDA that a lawyer would normally point out to you for your protection. Without defined parameters as to where the document goes you might find a lot more people knowing your business than you had anticipated. If you are really fearful of losing your proprietary information down the road, run it by a lawyer so it is custom-made to your business. A well-documented disclosure statement and strategy allows you to share information as needed. NDA’s provide for initial discussions and in the event negotiations break down you haven’t given away the farm. Take a generic NDA that you have carefully evaluated that fits your needs and have the lawyer tailor it specifically to your business. Usually, the initial consultation is free and the final cost is irrelevant to your piece of mind. Also shared on Garry Bizzo’s website.